Chicken fricassée is my winter go-to when I want something comforting and delicious. 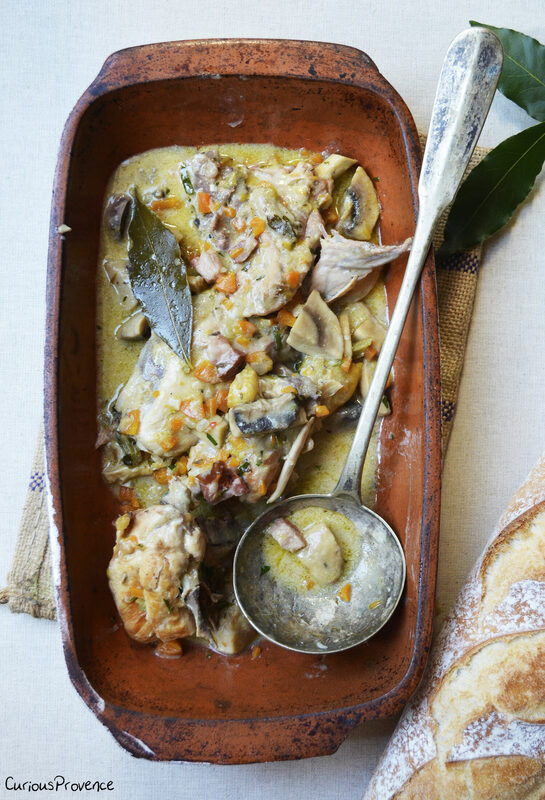 The tarragon and chicken compliment each other so well in this rich delicious sauce. 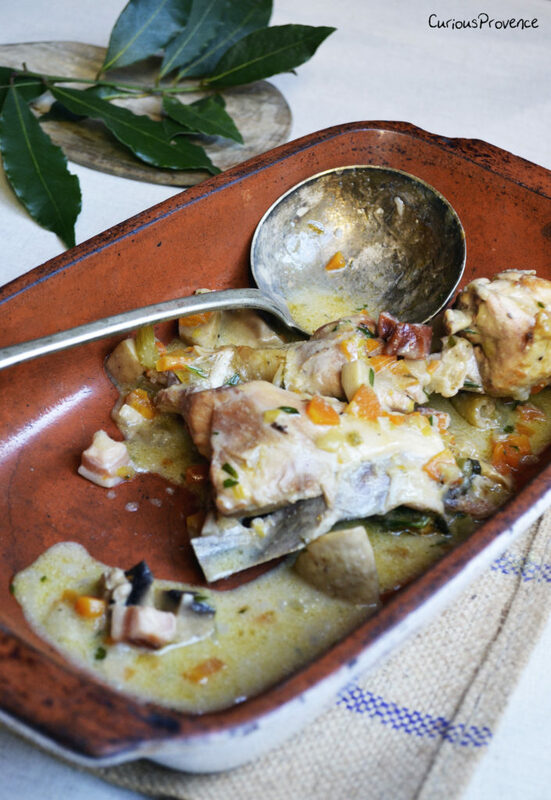 A fricassée is a dish of stewed or fried pieces of meat served in a thick white sauce. 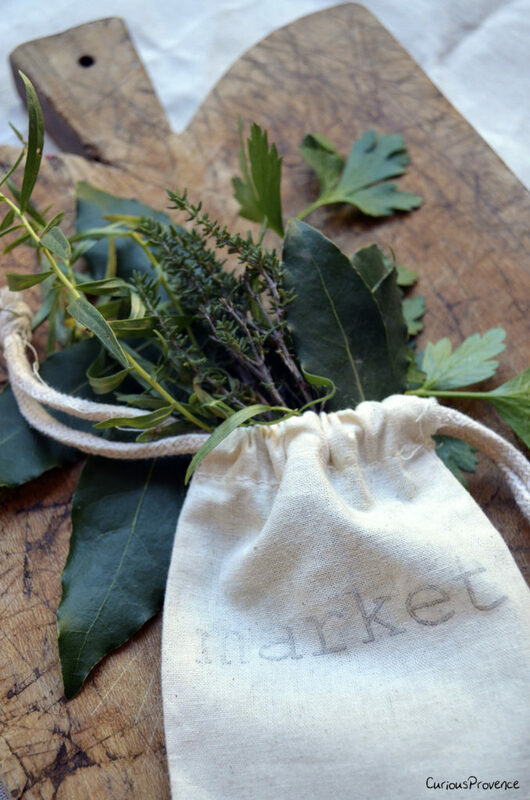 I use lots of fresh herbs in my cooking. I like everything to have that kick of fresh flavour! Ask your butcher to do this for you. *You can use de-boned chicken breasts and thighs instead of a whole chicken if you choose not to deal with the bones while eating. However, the recipe is more flavourful with a whole chicken. Prepare all your veggies so they’re ready to go. 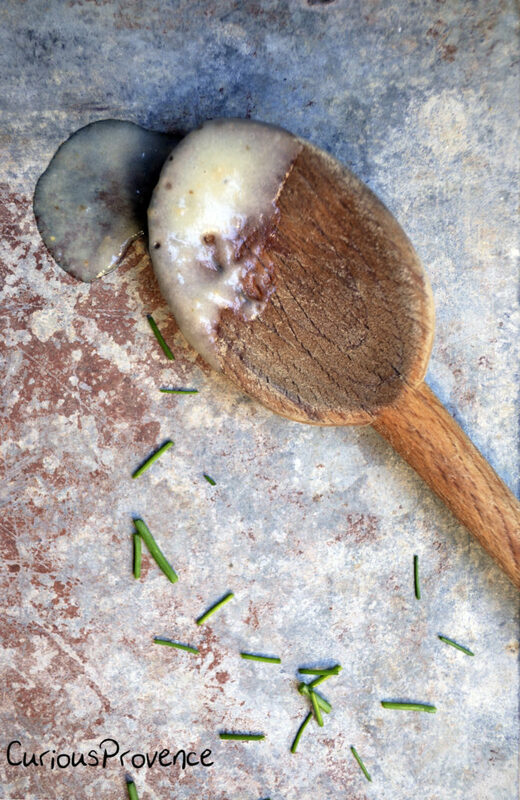 Place a large knob of butter into a heavy bottomed pan on medium-high heat. Brown the chicken pieces all over. Remove from the heat. Lower the heat to medium. Place bacon, leeks, shallots and carrots into the pan. Soften for 5 minutes, stirring often. Add the flour, cook for another minute. De-glaze with the cider, cook for another minute. Add the bay leaf, thyme, tarragon, stock, and chicken to the pot. The chicken should be covered in liquid. Add more stock if necessary. Cover and cook on a low simmer for 35 minutes. Add the chopped mushrooms. Remove the lid from the pan if the sauce needs thickening. Add the mustard and cream. Stir well. Cook for another 15 minutes. The chicken should be falling off the bone. Season with salt and pepper to your taste. Add the lemon zest and parsley. 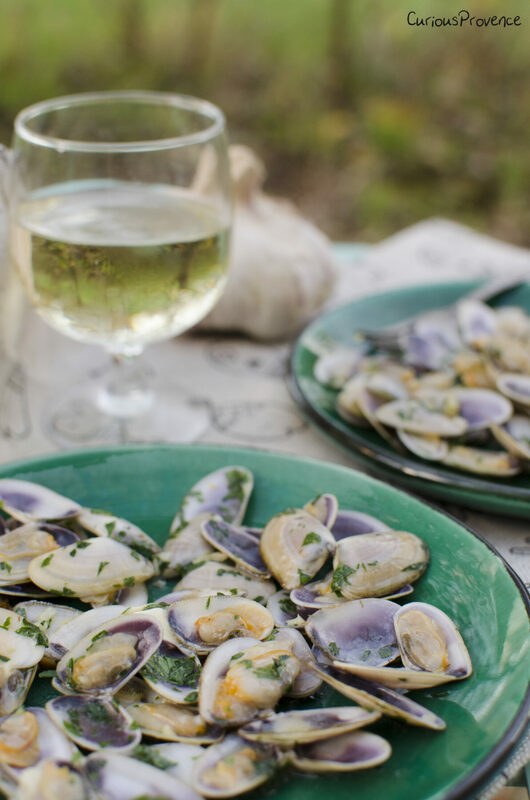 Serve with steamed rice, fresh baguette or potatoes and a cold glass of white wine. Jerusalem artichokes have become one of my winter veggies that greatly add to my seasonal eating. In Canada, the Jerusalem artichokes that I used to buy were a beige colour. In Provence, I’ve often seen them as a beautiful magenta colour. Topinambour was one of the few vegetables, if not one of the only ones, available during WWII in France. The misery associated with this time in history in a starving Europe gave Jerusalem artichokes a bad reputation. Their ability to get the digestive system working, and their consequential association with flatulence, didn’t really help either. The older generation that can still remember the war years often refuse to eat them. However, as all veggies almost forgotten, they’re experiencing a little renaissance. It is time for the Jerusalem artichoke to rise again! For only the good reasons. This vegetable is unique in flavour. It adds welcome variety to the root veggies of winter. Also, when paired with potatoes, it doesn’t affect the digestive system with the same vigour. There was a little commotion yesterday morning at Saint Remy de Provence market. 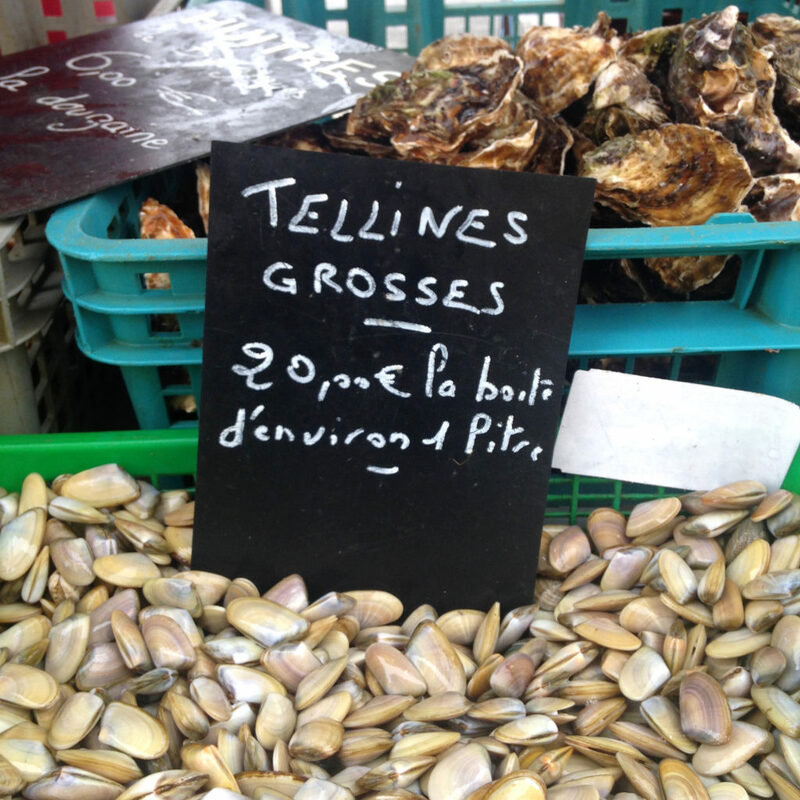 Gilles, the oyster and mussel vendor, placed a large tub of tellines at the front of his stall. First to notice, with coffees in hand at 8 am, were the other foraines (market workers). Some even stopped in the middle of the bise* greetings to make their way over to Gilles’ stall. Threats were made to keep some for them. The lip-smacking in anticipation for dinner started particularly early.